While MMG Industrial offers a full complement of typical machine tools, we highlight the machining centers below that are responsible for the bulk of our workload. The Okuma 2SP-V920EX twin-spindle, 2-axis, vertical lathes feature a rigid machine structure that delivers powerful, high-accuracy cuts. The vertical box-shaped column is extremely rigid, allowing deep cuts at high RPM. Wide, square-shaped saddle and cross slideways ensure high precision under all cutting conditions. 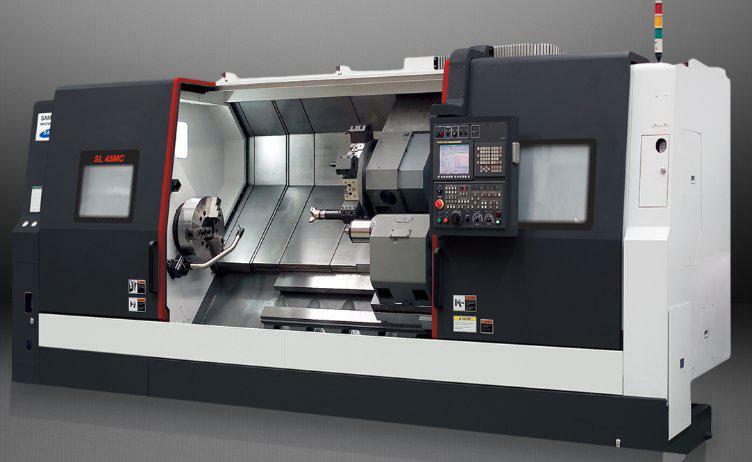 This high-performance VTL offers a precision machining solution for a variety of critical parts, including large diameter workpieces such as brake drums and rotors, hubs, and gears. One control operates two completely independent spindles, providing exceptional flexibility with resulting improvements in machining efficiency. This machine has (2) 24” hydraulic chucks with independent chip and coolant containment bays. 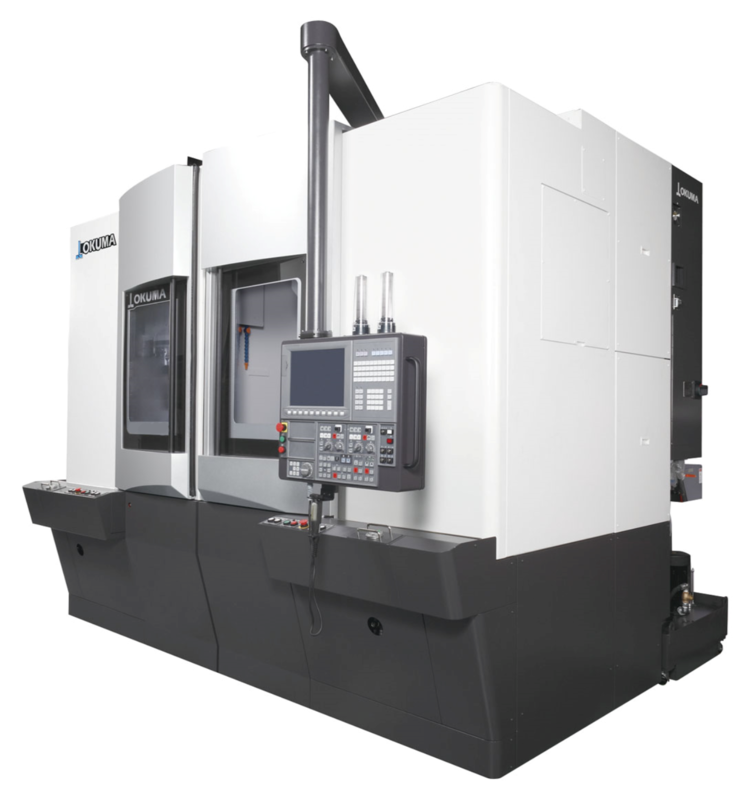 The Samsung SL45MC/2200 is a Mill-Drill CNC turning center designed for heavy and interrupted cutting. 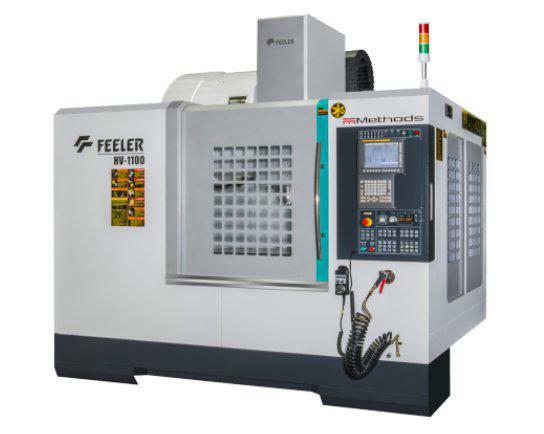 This model supplies long-term high accuracy and superior finishes, high speed turret indexing and fast rapid traverse rates minimize non-cutting time. The mill-drill capability reduces the need for secondary machining on other machines thereby reducing additional setups while increasing efficiency. The HV-1100V features a 30-tool swing arm automatic toolchanger magazine with a tool-to-tool time of one second at 60Hz. A fast chip removal system with chip conveyor, automatic lubrication system and dust-proof electrical cabinet are all standard.